Happy Hundred Days of School! We’ve been celebrating our hundred days of school! Well done children on 100 days of learning, playing, exploring, adventuring and making new friends. Every day we’ve been keeping track of what number we are on with this chart, building the hundred square as we go. 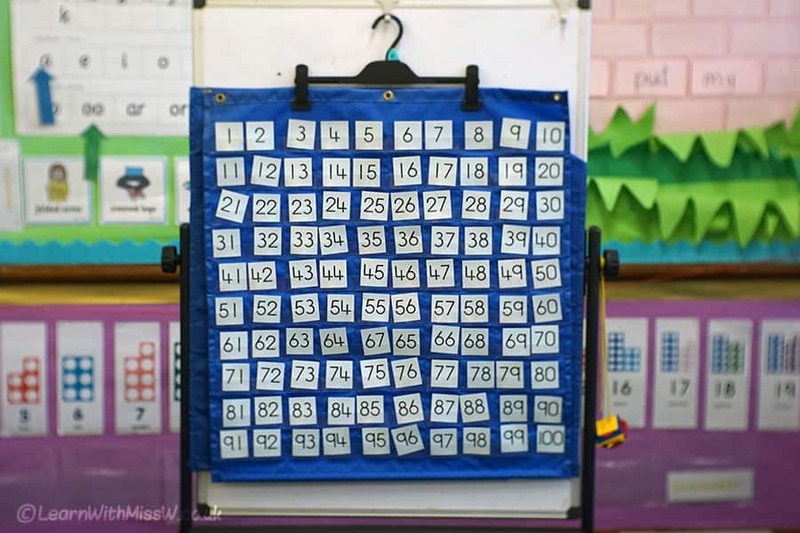 I knew there was going to be some disagreement over who got to turn over the last number, so instead I left 100 showing, and hid most of the rest of the numbers in the classroom for the children to find. They got incredibly excited and did a great job of figuring out where the missing numbers needed to go back on the chart. We celebrated on the day with lots of games about the number 100. The children painted 100 dots, made a hundred square with floor tiles, made 10 towers of 10 and coloured in 100 things. They also made crowns and wore them home at the end of the day. Well done children and good luck for the rest of the year!